A “Class of 1969” inductee, Ivan Irwin played three seasons with the Reds between 1955 and 1958. Nicknamed “Ivan the Terrible”, this talented and popular defenseman accumulated 338 PIM and 41 points on 6 goals and 35 assists in 144 games. 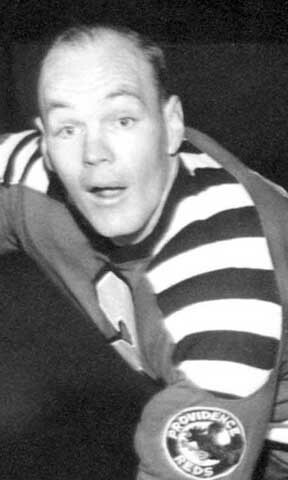 He was a stalwart on the Reds’ Calder Cup and won in 1955. He was a 3-time All-Star over his American Hockey League career. A defense-first blueliner, he made his pro debut with the old Boston Olympics in 1947. This clever no-holds-barred fan favorite was a veteran of five NHL campaigns between 1952 and 1958, scoring 6 goals and 29 points in 155 games. Ivan later returned to Providence as a coach in 1965.